Building a successful business starts with ensuring your finances are in order and that your taxes and accounting are done properly. Masone and Company is one of the top accounting firms in the Calgary area. For over 25 years we have been dedicated to providing exceptional service while specializing in taxes and accounting. Our services have saved our clients and solved financial issues from $10,000 up to $20,000,000. These include a variety of issues such as factoring and venture capital along with a wide range of other things. We work to build relationships with all our clients, viewing each one as a partner. Our success comes from your success. 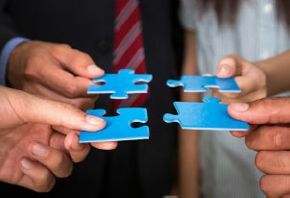 We put the puzzle pieces together and help you move forward whether you are a business looking to secure your finances or an individual who needs tax help. Our firm prefers a proactive approach rather than simply reacting to what comes our way. We keep up-to-date on tax laws and legislation which allows us to identify key planning opportunities. When combined with our 25+ years of experience, it makes a formidable combination. 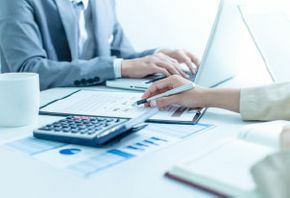 When you contact Masone and Company, you are contacting a great company who is dedicated to providing you with the accounting firm in Calgary that you are looking for. Many of our clients have been with us for years, whether they need tax planning, software consulting, financial information, or any of our other services. They always have great things to say about our services. Our goal is to help you resolve your issues and assuage your concerns about the accounting industry. Let us determine the problems that no one else in the business will address. Masone and Company was formed by Antonio Masone with the goal of providing a range of expert financial services and becoming one of the top accounting firms in Calgary. When you are looking for comprehensive tax and accounting services from one of the top accounting firms in Calgary, give our office a call. We are always looking forward to working with you and building a beneficial relationship. Antonio Masone first began his journey in 1973 when he obtained his diploma in finance at John Abbott College. He then obtained a Bachelor of Commerce – Accounting. Antonio's hard work next took him into McGill University, where he earned his graduate Diploma in Public Accountancy (DPA) in 1981. He then received his Certified Management Accountant (CMA) in 1982 and his Certified General Accountant (CGA) in 1983. In the late 1970s, Masone began his career in Montreal working for reputable accounting firms such as Deloitte and Ghattas & Associates Comptables. 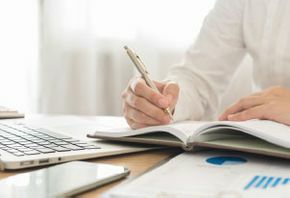 He continued his career helping private companies with preparing their financial statements and budgets, auditing, general accounting and account receivables and payables. He has implemented state-of-the-art cost accounting and inventory systems that have saved companies thousands of dollars. Antonio has worked as a senior administrative officer and director of finance for several regional and municipal governments in Canada.